Those of you who interact with me often know that I’ve been revising Fate Accompli, my one published book, after attending online writing courses. During this time, I haven’t been promoting the book at all. After shedding 8,000 words, I re-uploaded the spicy version manuscript and started tweeting about it effectively, but that’s material for a subsequent post. After promoting for a single day on Twitter, I saw a 14 and then a 438 KENP hit on my KDP Reports’ blue graph. what percentage of my book does 438 represent? can I find how many KENP pages Amazon has my book down for? did one person devour the entire book in one day? Scroll down and check the Earn Royalties box (on the left). The last line shows your book’s count. Fate Accompli’s spicy version has a 508 KENP count. The story itself has to be a bit over 450 pages, as I have a rather lengthy first chapter of the next book in the Aegean Lovers series added at the end. Establishing that fact, I was even more curious about the high KENP hit I had, so I used the market filters on the Reports’ page. Guess what? The 14 plus 438 (total 452) KENP came from the UK. Not having seen any mobility in that market for ages, aren’t I legit to conclude that it was one UK-based person who borrowed the book and finished it in two days rather than a bunch of British readers who all decided to borrow on that day (when no American did) read some and dropped the book? The 205 plus 271 (total 476) KENP hits came from the US market, again in consecutive days, which again makes me think that it’s more likely a single person read the entire book (they add to the book’s total KENP count and the next day was silent) *doing the happy dance*. Thank you Effrosyni Moschoudi for pointing this out in the comments! If I get consecutive KENP hits, adding up to the book’s KENP count, most likely that means a reader went through the entire book. Twitter being my only promotional tool, it seems I have found a way to “clickable” tweets. My aim is “clickable” tweets not a large number of retweets. I’ve been having plenty of those all this time (and I’m grateful to my loyal writer friends/tweeps) but they didn’t lead to sales or borrows. 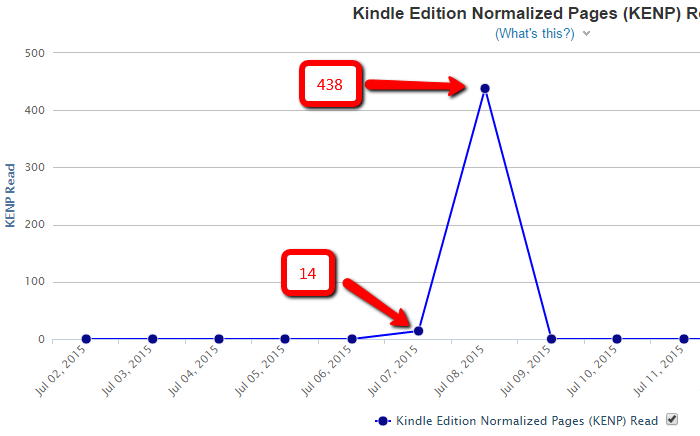 The link I’ve used when tweeting was that of the book’s landing page, not its Amazon page. It seems to be working better. Use all market and title filters available on your Reports’ page for more solid conclusions on KENP results. What’s your experience with KENP so far? Has it given you more insight into your audience or promo efforts? Thanks for the great post. I’m looking forward to reading about your clickable tweets. As for my experience with KENPC, it’s still too soon to tell. 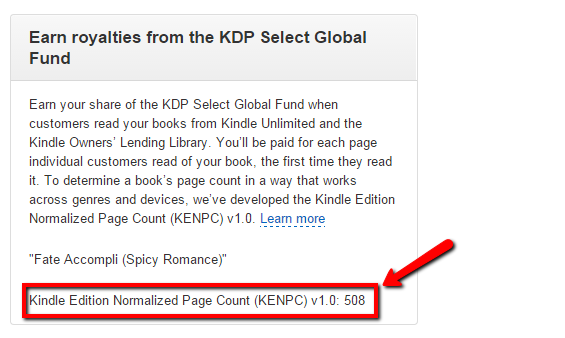 I use a great piece of software on my phone (Authorware), which gives me individual KENP counts for each of my books. So, I can tell you that someone read 50 pages of Infinite Waters yesterday, and that people have read some 400 pages of the bundle. But that’s as much as I know,as I didn’t have any numbers for previous months to compare with. I’ll check Authorware out. Thanks for stopping by, Nicholas! Sorry, that’s Afterword! No idea where Authorware came from. Apologies for any trouble! Thank you, Patrick! Glad you found it useful. Thanks, Fros! I should have incorporated this into the post. I’m doing it asap. Not sure if Booklaunch allows affiliates. I’ll try to find out. Interesting, hope to learn about all this before launching my first book. Thanks.